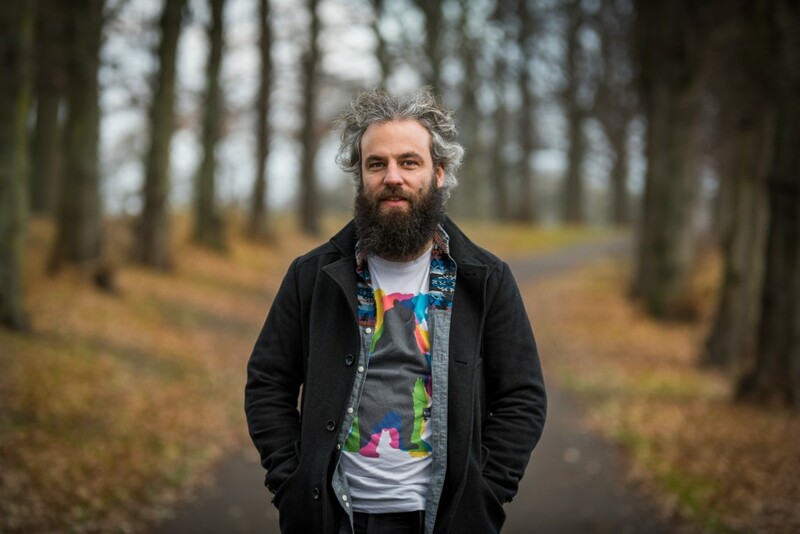 Fuzzystar is the moniker of Edinburgh-based songwriter Andy Thomson and band, who have a flair for off-kilter indie pop, strewn with scuzzy, lo-fi melodies. Andy Thomson has been playing solo and in various line-ups as Fuzzystar for years; starting in Edinburgh, with a stint in London, before returning to Scotland. The band name comes from an appreciation of the bands Big Star and Mazzy Star. Fuzzystar’s forthcoming album Telegraphing is due for release on April 28th and ahead of that, we’ve been gifted record’s title-track, and it’s a doozy. ‘Telegraphing’ is three-and-a-half-minutes of melodic lo-fi indie laden with dream-like fuzz, infectious reverb and strewn with hooks you could hang your hat on. Bristling with an unobtrusive moodiness, it is permeated with a sense of melancholy and understated optimism, as Thomsen’s droning vocal echoes through the shimmering haze. A tantalising taste what Fuzzystar is all about. The album is due out on 28th April 2017 via Satellite Sounds, you can treat your ears to the marvellous drifting haze of title-track ‘Telegraphing’ below.